Cats enjoying their new food! A winner in my household!! Purina Cat Chow and my two cats. ALL my Cats LOVE Purina Naturals!! kitties love cat chow naturals! Something good for them, that they like. Meece, young and finicky. Brownie, old and sensitive. 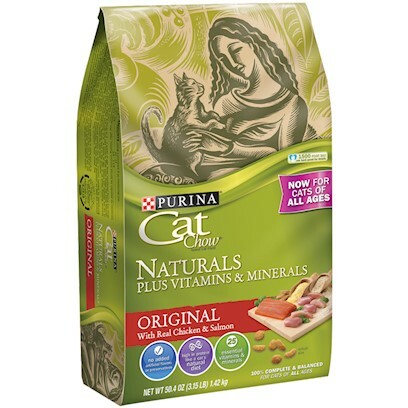 My 3 cats love this Naturals food! Gives my cats what they want and crave!